When I first got started blogging, I had no clue what I was doing. Even though I was a fan of reading other blogs, I wasn't too sure how to go about starting my own blog. I did the basics to get my blog started. This included setting up my blog on WordPress, setting up my hosting account with BlueHost, as well as purchasing Genesis and a child theme. I also downloaded a few widgets and set up a new email account. Other than that, I wasn't really too sure what to do next. I was stumbling around on the internet reading anything and everything. What I was really looking for was guidance. 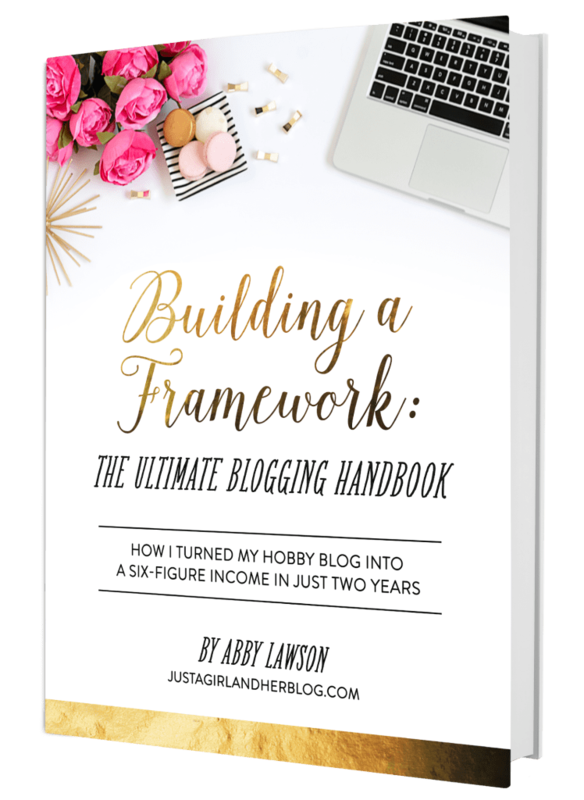 Enter Abby Lawson and her fabulous eBook, Building A Framework: What I Learned My First Year Of Blogging. Once I started reading Abby's book, I couldn't put it down. Finally I had a source that answered so many of my questions. It was tiring scouring the internet, but with Building A Framework, I was able to go through each chapter and simultaneously make the changes to my blog. Building A Framework basically helped me take the next steps. Much like the title suggests, this ebook guided me through the best widgets to use, how to utilize Pinterest, create a newsletter and all kinds of strategies and tips. The eBook also covered different ways to monetize my blog, which I found to be incredibly helpful. Abby goes into great detail about how she monetizes her blog, including my favorite method, affiliate income. I say this all the time, but I love affiliate income! Unlike Google Adsense or similar methods of advertising, affiliate income does not rely on high blog traffic. My favorite thing about this book was how I was able to save so much time by having all my answers in one place. I would seriously spend hours on the internet trying to figure out one thing, and this book definitely helped me manage my time better. 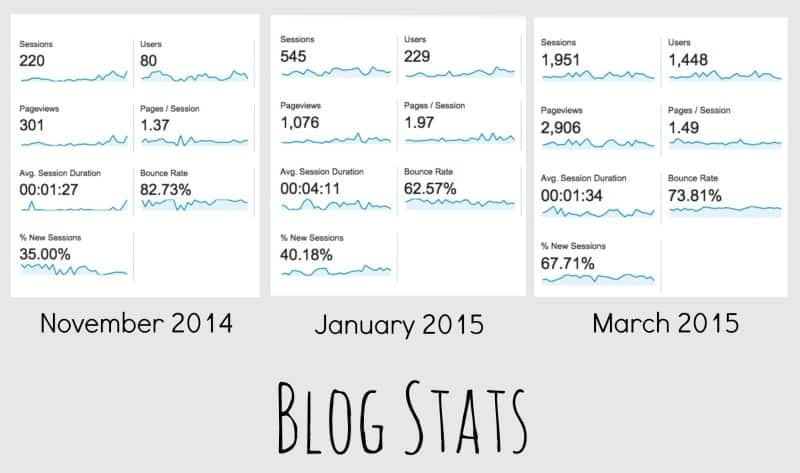 I started getting serious about blogging last fall. As you can see from the photo below, I was really new to blogging. I only had a few hundred page views a month in November! I'm also not embarrassed to admit this – we all have to start somewhere, right? Once I purchased Abby's book and started implementing her advice, my views started climbing immediately. In less than two months I more than tripled my views. In March, I nearly tripled my pageviews again. In April, I hit an all time high of over 8,000 page views in 1 month. While this might not be a lot of views to some, it was a record for me! Clearly, this book had a positive effect for my blog. I don't know where my blog would be today without this book! So…I am so, so excited to announce that Abby has a new eBook that just debuted! In less than two years, Abby has managed to make over six figures from her blog and once again, she is sharing how she did this. *If you already own this ebook, you automatically will receive the Starter Package for free! 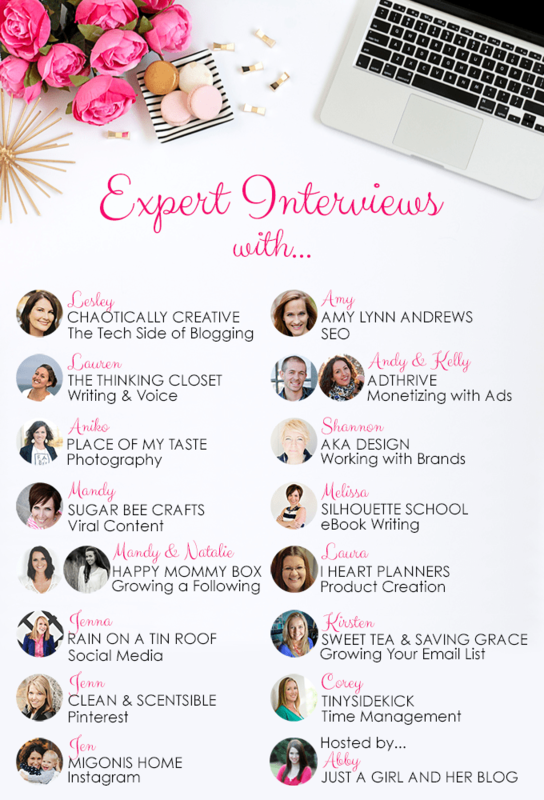 15 Video Interviews with Expert Bloggers!!! Audio files from the 15 expert interviews so you can listen to them on the go! 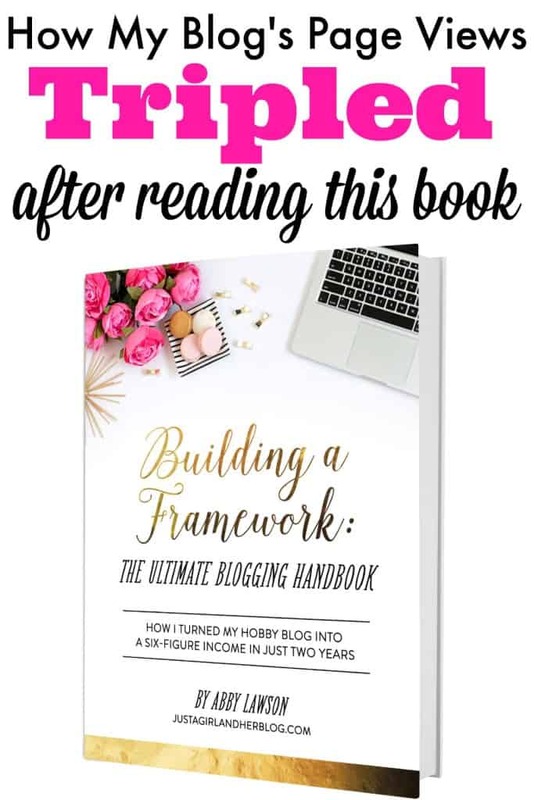 If you are ready to get started on growing and monetizing your blog, Building A Framework: The Ultimate Blogging Handbook is one of the best books you will ever read! There is a lot of new information to absorb, even if you read the first edition. If you are just starting out or are serious about growing your blog, this eBook is worth the read! What are your favorite eBooks or websites that helped your blog grow? Congrats on the great numbers! That’s impressive! This was one of the first books I purchased on blogging and it has been very helpful. I also purchased How To Blog For Profit (Without Selling Your Soul) and it has also been helping me transform the way I blog. These are two great resources that I too would recommend! Everyone seems to love Ruth’s book! Thanks Tennille! I will have to check this book out. Your stats are really impressive! Thank you so much for the tips and sharing your success tips.